Preheat your oven to 275°F. Place the apricot kernels on a baking sheet and warm in the oven for 5 minutes. This gentle warming will enhance the natural flavor of the kernels. Place the warmed kernels into the food processor. Pulse a few times to break up the kernels, then run at high speed for 3 to 5 intervals, stopping and scraping down the sides of the food processor every few minutes. After 10 minutes, the apricot kernels will turn from a granular consistency to a paste and then to a very smooth, creamy butter. If this hasn’t happened yet, don’t worry! Just keep your food processor going until you reach a smooth texture. 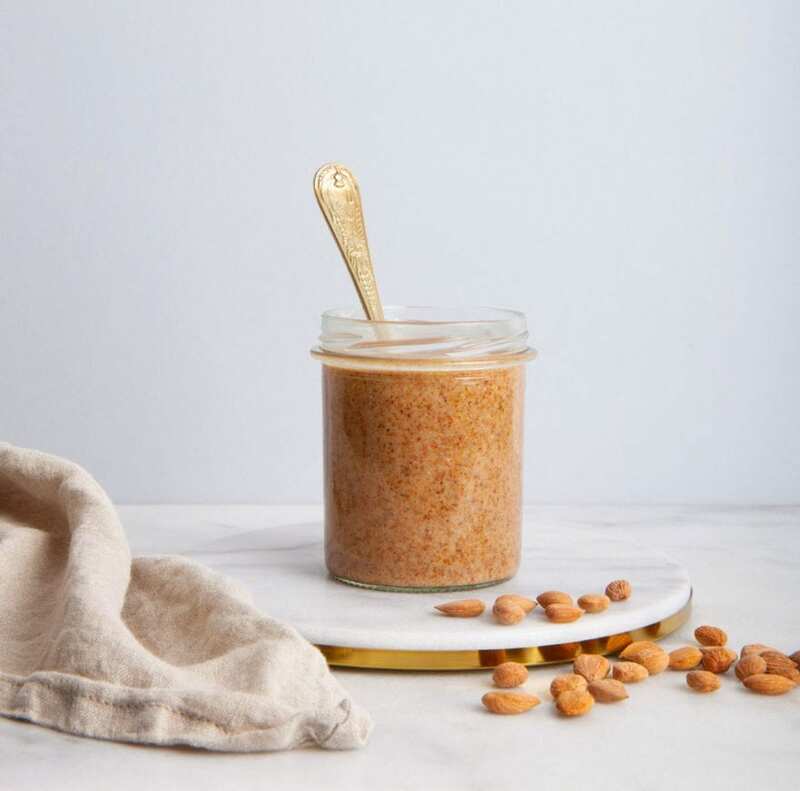 Once the apricot kernel butter is smooth, add the maple syrup (optional) while the food processor is going, allowing the syrup to fully integrate with the nut butter. If using oil, add it in now and run the food processor for another minute or two. Pour the butter into the glass jar, cover with a lid, and store at room temperate or in the fridge. *You can use our raw apricot kernels for this recipe, but we find the taste is much richer with our roasted and salted kernels. We also find that the dusting of Afghan salt on Ziba’s roasted and salted apricot kernels complements the kernels’ natural floral notes. ** The oil is mainly used to thin the butter a little—sometimes we find it’s helpful to use, while other days we don’t need to add it in at all (it depends on temperature and humidity levels where you are).